Use worldlabel size WL-575 to print or cut out designs from a full sheet label. 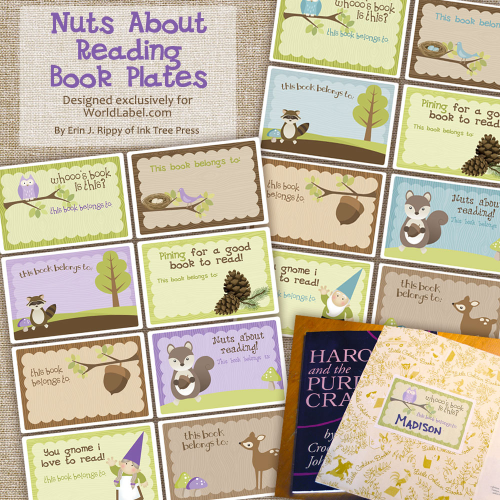 Specs: These bookplate labels for kids are in PDF are cross-platform and application independent. They will work on Mac OSX, Linux, Windows, Solaris and other operating systems. There can be compatibility issues among different PDF Readers. For optimum performance and full use of all functions, we recommend you download for free Adobe PDF Reader version 9. 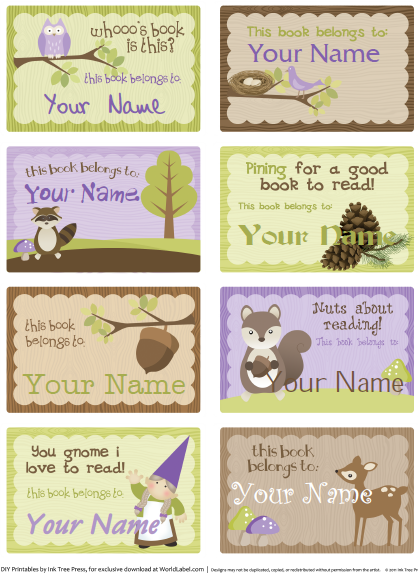 Get PrintPeelApply Brand Labels from Worldlabel.com and print these sweet cute kids labels for bookplates! These are SO amazing!! Thank you, Thank you! I love them! You’re simply amazing! Thanks for sharing! Gob bless! More power to you! Hi, i love the templates given in this website. but can i ask something : is it posibble to resize the labels, so in 1 A4 sized paper i can print out more than 6 label? 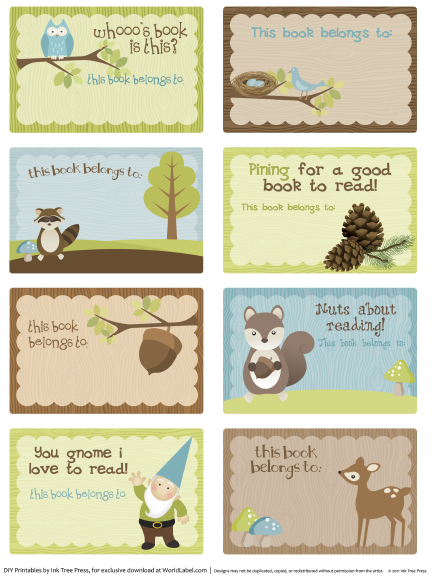 I love these, thank you so much for sharing. I am having a hard time resizing the font. I have a mac, but do not have an apple icon to press + E?? I tried “alt”, “command” & “option” too?? Any help would be great! Thanks! !